Kobe Bryant is named after Japan's Kobe beef. So it is kinda stupid to (sorta) name your Kobe burger after Laker Kobe. But the people at Steiner's are not concerned with their menu making sense. They are, more appropriately, focused on feeding me beer and above-average bar food. This burger falls under that category. I'm sure the beef isn't Japanese. It's described as "beer-fed, hand-massaged and sake-brushed beef," but I'm sure it's American Wagyu beef. Whatever. It's tasty. 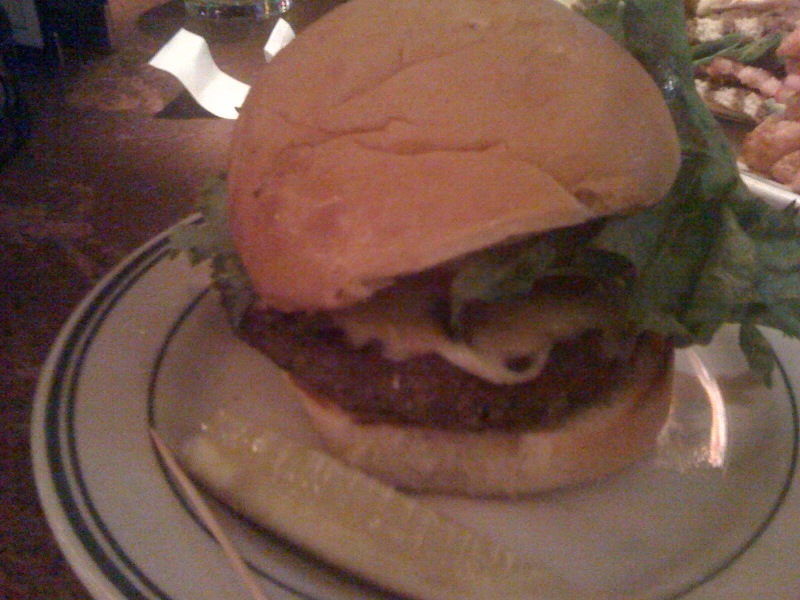 Is it a lot better than the average burger at Steiner's, which goes on special Wednesday nights for $5? No, it's just a slight upgrade. But they'll actually cook it the way you want, the buns are fresh, and it'll hit the spot. The Kobe burger comes armed with Maui onions, aged white cheddar, heirloom tomato and crisp lettuce, and it's served on a sourdough bun. It's a more-than-respectable bar burger.